Your name on my bike and mine on yours. I’ll send you a sticker saying, “I support Stuart Wight” to put on your bike or anywhere else you might like. I’ll also put your name somewhere on my bike so you can be with me at all the races I do! I’ll send you a postcard from various National Team races I compete in throughout the year. They will keep you up to date on my progress and you might even learn an interesting fact about somewhere new. 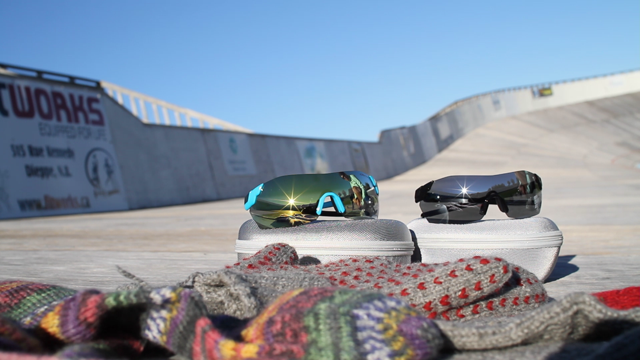 You’ll be entered into a draw for some very slick Smith Pivlock V2 Max sunglasses. You’ll be the envy of your peers when you show up to your favorite activity with some stylish new shades. Hand knit wool mittens from my mom. This is our go-to gift for people who have welcomed me into their homes and helped me out along the way. Join the team and get your hands into these exclusive mitts. Want to upgrade from the hand knit mittens? How about some fuzzy wool socks to keep your toes warm this winter? Also hand knit by my mom. Do you love coffee as much as I do? If so, you’re definitely going to want to try some fresh, home roasted coffee beans to get your day going. I’ll roast them up and ship them to you right away for maximum freshness. For this level of support you will receive a piece of National Team clothing (jersey, vest, skinsuit, etc.) either signed or un-signed. Requests accepted if you have a preference on what you get, but it will be a first come, first served basis. Have you always wanted a training program tailored specifically to your goals? Alongside racing I have been training for a career in coaching and would love to help you achieve them! I will design a 3-month riding program with the latest in performance management software, tweaking things based on your feedback to arrive at the big day in top shape. Want to be treated like royalty while you join me and other supporters on a group ride? In the fall of 2014 (the absolute best time to ride!) 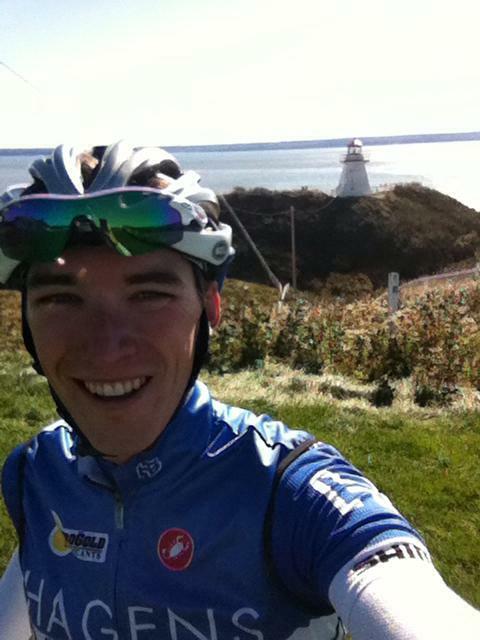 I will plan an iconic route somewhere in the Maritimes for an unforgettable day of pedaling. The ride will be fully supported, with a gourmet lunch and homemade ride food to feel just like the pros. Maybe you like the idea of having a certified coach guide you towards your fitness goals, but want to really get the most out of the whole season. At this level I will provide 12 months of coaching to truly be able to plan the peaks of an entire year. Do you have some co-workers or an entire office that would like to do a group ride with me, but want to customize it around your specific needs? For this donation I will put together a day of riding exclusively for you and your group of up to 10. We can ride anywhere in the Maritimes you might like, and of course the same services as the individual group ride will apply – a delicious lunch, homemade ride treats, mechanical services, etc. Are you a company interested in global exposure? I race around the world and would love to have your logo on my National Team jersey, as well as my website which is seen by thousands around the world. I would also be happy to make myself available for a personal appearance or so as my competition schedule allows.